Product prices and availability are accurate as of 2019-04-19 10:59:33 UTC and are subject to change. Any price and availability information displayed on http://www.amazon.com/ at the time of purchase will apply to the purchase of this product. 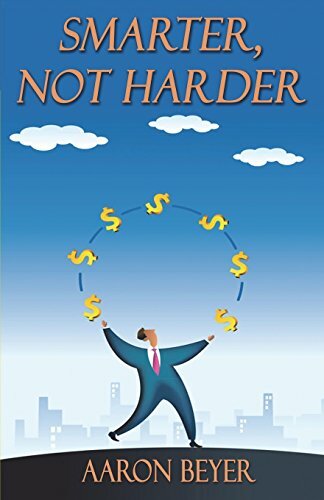 Author Bookstand is proud to offer Smarter, Not Harder by Bookstand Publishing. Bookstand Publishing offers books by the best indie authors throughout North America and the world. Bookstand Publishing is dedicated to offering original content to a broad audience and promoting great authors, literacy, and freedom of expression. Smarter, Not Harder has generated a lot of interest and excitement and we think it would be an excellent addition to your library. There is a common saying in sales that it's "all about the right customer (targeting); the right message; with the right frequency." Sprinkle in a great relationship with an account, and we're golden. Well, this is a great start, but if you've ever tried to focus on these things, you may have been left with your head spinning and confused on how to focus on the right customers, with the right message and with the right frequency. If this wasn't enough, we end up spending time and resources with all of the wrong customers just to see our sales stay flat. Through trial and error, countless sales calls, and observing others, I have taken the principles of focusing on the right target, right message and right frequency, and identified the 4 Key Influencers to consistent sales growth that are essential to your daily business. By focusing on, and only juggling those 4 key influencers to consistent sales growth, you will effortlessly yield greater sales. With over 2 decades of industry experience as a Sales Representative, District Manager and Consultant, I have noticed a common thread in this industry; most sales representatives are great at product knowledge, but lack an understanding of business acumen and selling skills to consistently grow sales The good news is; It really is this simple. By focusing in on the 4 key influencers to great sales; you will create a real impact in your business by letting go of the things that don't matter, and by shifting your efforts to good business acumen and better selling techniques. By focusing in on the right customers and utilizing techniques that work, you will be more efficient, increase your sales and make more money. Not to mention, you will consistently be able to apply these strategies that will elevate you above all others and look like a pro in every sales capacity you hold in this industry. With these proven strategies and insights, you go from making calls to making an impact. New and Even Seasoned Sales Reps can take the business to the next-level.